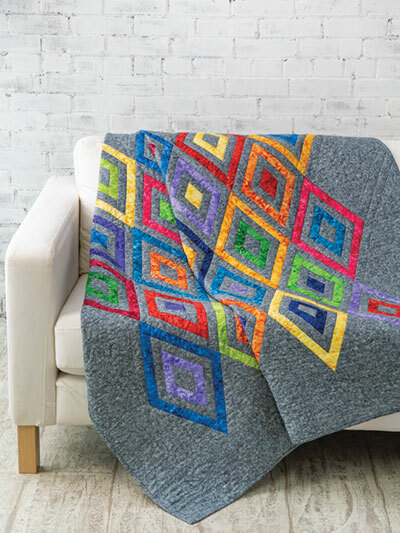 Take the traditional log cabin technique to the next level and make a uniquely beautiful quilt with diamond shapes. 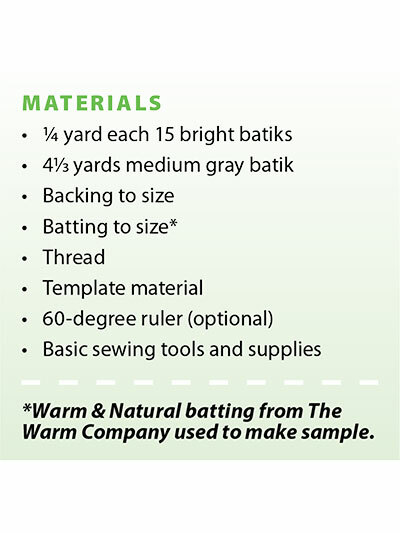 This quilt lends itself to fast assembly-line sewing and includes a wide border for a modern floating effect. Finished size: 58 1/4" x 59 5/8". Design originally published in Quilter's World Winter 2018.